Elder scrolls Online releases updates very often. New content and events are announced regularly. If you want to know the information about all this stuff read our News. Elder Scrolls Online will be Subscription Based! Elder Scrolls Online is going to use Monthly Subscriotion model. The game will cost $14.9 Forget about F2P or B2P. Guild store is a place where any guild member can buy or sell different items. It is a market of Elder Scrolls Online. On the 2nd of August 2013 ZeniMax Online team showed gameplay of Elder Scrolls Online to public. It is an amazing event where everyone could see how ESO looks. Roleplaying is a very important aspect of any MMO. ESO is also going to allow many features for rp-lovers. Elder Scrolls Online Will be Released in 2014! Finally! The release date is announced! Now we know when the game is coming out. Read the full article to find out more. Release Date - When Elder Scrolls Online is Coming Out? The world of Tamriel is full of interesting places and objects. There are many interactive items that can be explored, used and taken. Malukah released her new song dedicated to Elder Scrolls Online. The song is called “Beauty of Dawn” You can watch the video here. 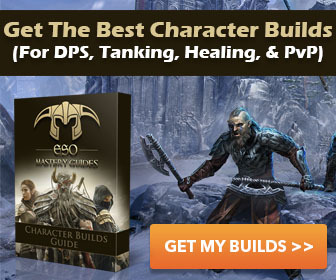 Why Elder Scrolls Online is worth playing?